As someone who loves to travel, I have had some good and very average meals in the air. Whoever invented the Hot Pocket should be reported to the UN Human Rights Tribunal – it is an implement of torture. 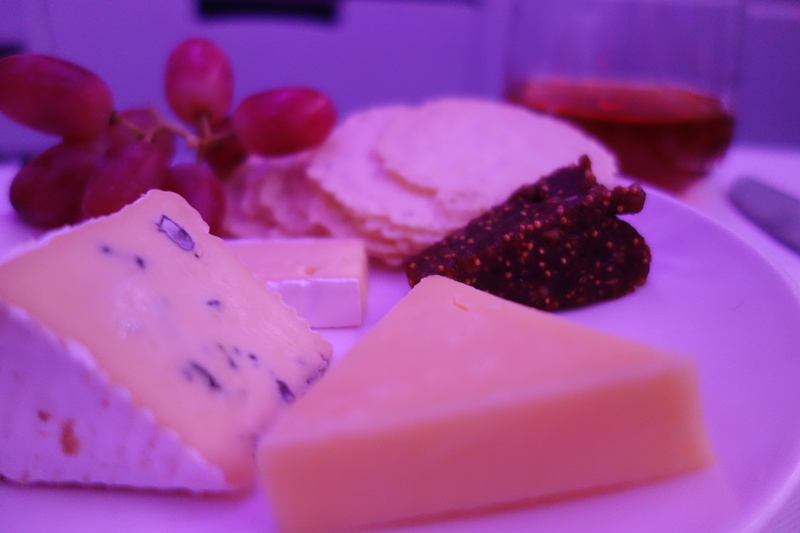 When I am lucky, and flush, enough to travel at the pointy end of the plane, I always opt for the cheese plate on the menu. Which had me thinking about how cheese manages to taste so good at altitude. When we fly, our taste buds simply don’t work properly. The low humidity dries out our nasal passages, and the air pressure desensitizes our taste buds, which is why airline often opt for salty stews or spicy curries. Airlines planning a new menu will often taste food and wine on board a flight before clearing it for public consumption, because of the variation in taste at height. 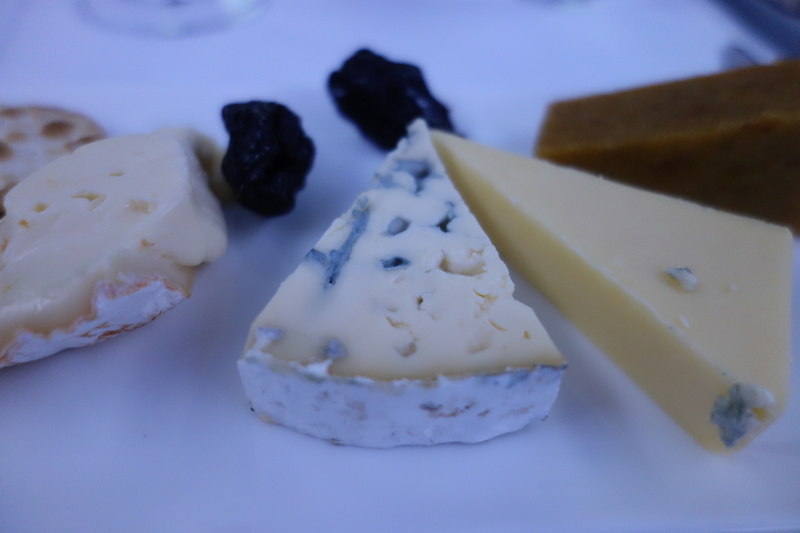 Cheese, with its strong flavors, seems to be one of those food items that travels well. On two different flights recently I managed to sample a cheese plate. 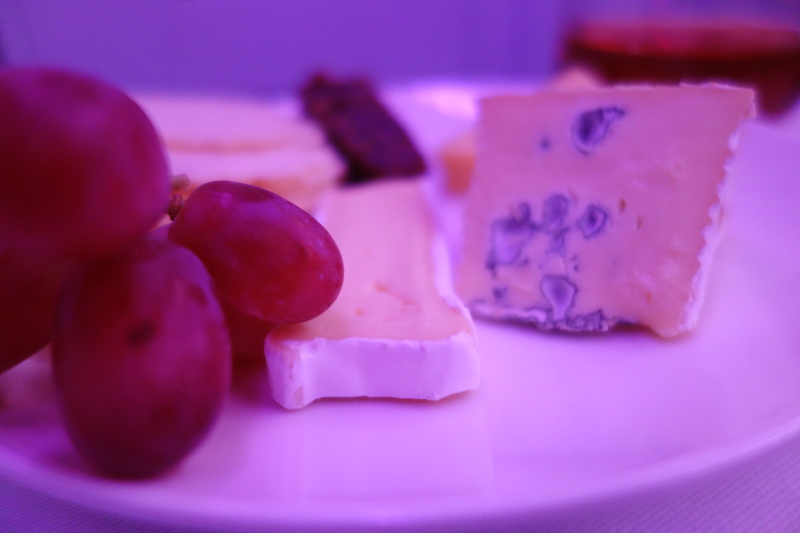 On Qatar Airways, their French-inspired cheese plate is always a solid offering – cheddar, a blue and a brie along with a fig jam and crackers. While a little cold, this plate was a good selection of different flavors. 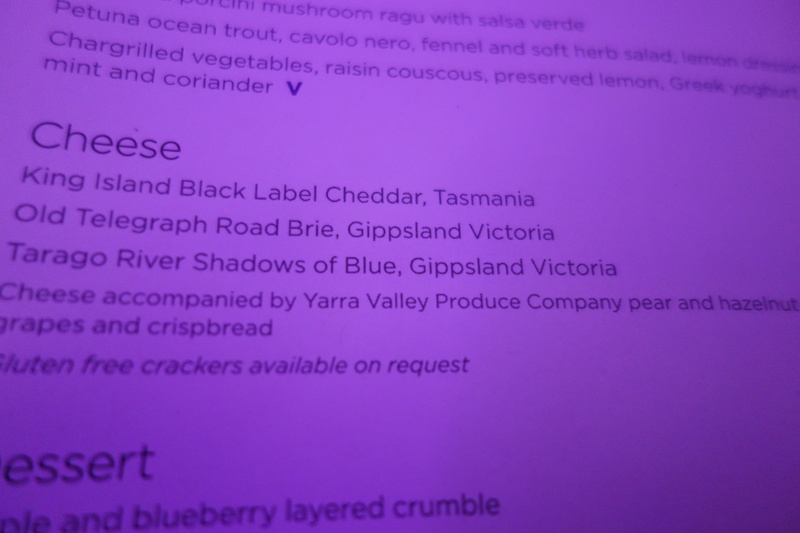 On a recent Virgin Australia flight, I was treated to a selection of great Australian cheeses. Taking a tour of southern Australia, it encapsulated what is great about Australian cheese including varieties from King Island Dairy and the Gippsland region of Victoria. Like Qatar, theirs was also served with a solid fig jam as well as some fruit, and it was clear the flight attendants knew to leave it out for a while as it was a cabin temperature. I’ve had a lot of bad cheese plates on board airlines (white girl problems, I know) and while I am still keen to try this offering by Emirates Airlines, these were two of the best I have tried.